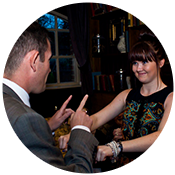 Looking to Hire a Magician in Sussex? 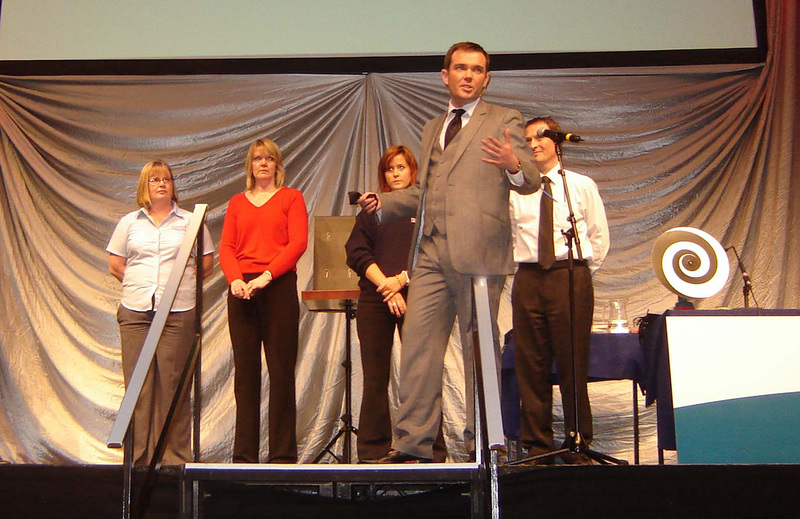 Thinking about hiring a Sussex magician? 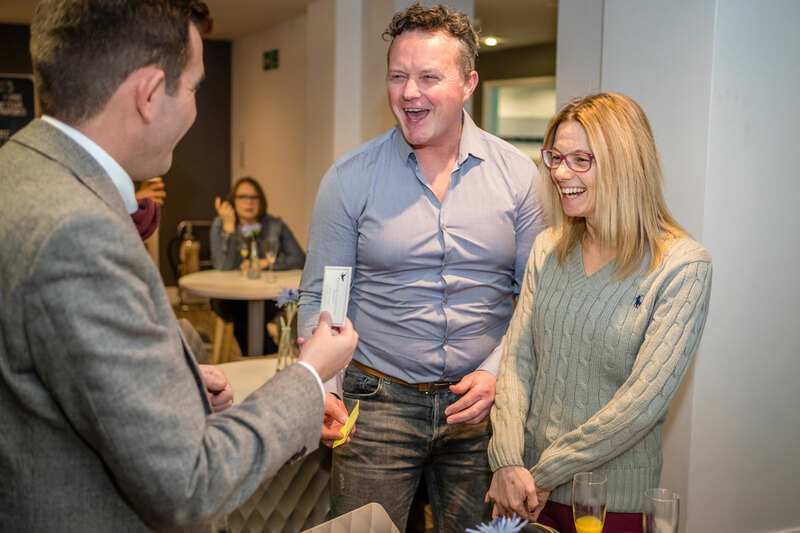 Mind reader, psychological illusionist and contemporary magician Edward Crawford has been performing as a Sussex Magician for the past 15 years. 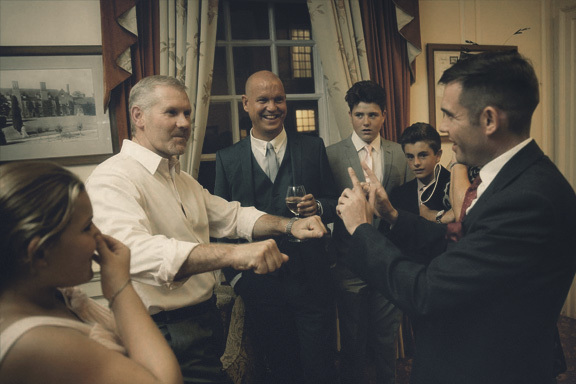 During this period Edward has performed in some stunning locations throughout Sussex including Brighton, Eastbourne, Crowborough, Lewes, Hastings, Peacehaven, Newhaven, Seaford, Portslade and many more. 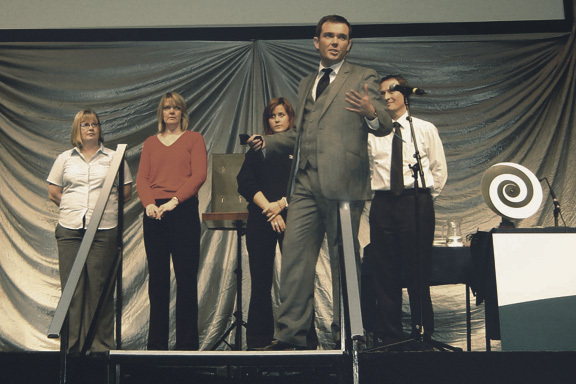 Edward’s unique and award winning style of magic and mentalism (psychological illusion) combines alternative magic with psychology, to create one of the most astonishing, outstanding and inexplicable acts you will ever see. 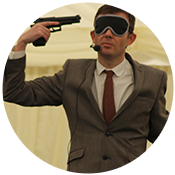 Whether he is reading minds, making impossible predictions or engaging in telekinesis (bending metal with his mind) Edward creates a hugely entertaining, grown up style of magic that will leave even the most cynical with a sense of wonder. 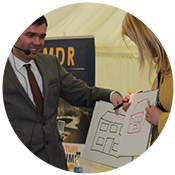 Some of Edward’s stunning presentations of the power of the mind have included driving around a racing track blindfolded (not recommended! ), duplicating drawings made by a person in another room, and bending coins held in the hands of his audience. 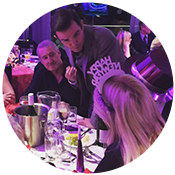 Edward performs both close up and on stage, so, whether you are looking for a Sussex magician for a private party, a corporate event, a trade show, a banquet, a ball, a dinner party or a wedding, Edward’s act will be tailored to suit your requirements. If you would like to book him for your event in Sussex simply fill in the enquiry form below. 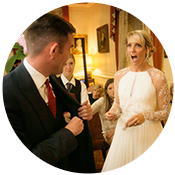 Whether you require a Sussex Magician for close up performance at a dinner or drinks reception, or a cabaret /stage show, Edward will tailor his act to suit your event. Last week I had the pleasure of performing in Arundel, West Sussex. 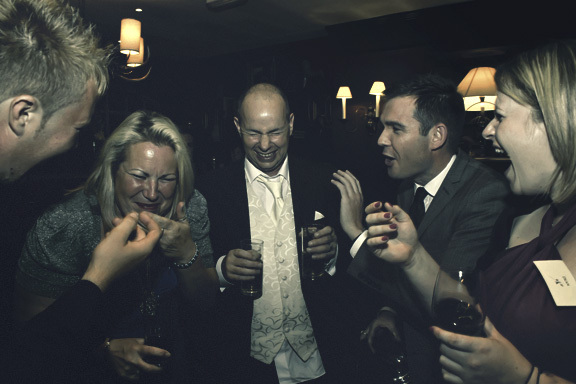 The client required a close up magician in Sussex for a family reunion. As it was a small group of about 20 guests I suggested an hour of close up earlier in the evening. This was kept very casual so people could continue chatting, catching up and having a drink whilst I performed for small groups of 2 or 3 people at a time. 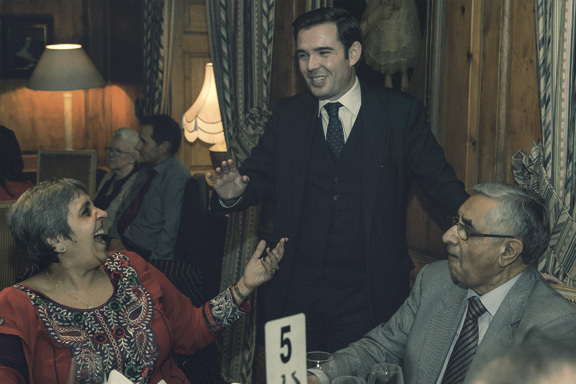 Later in the evening all the guests gathered in one room and I performed a 30 minute parlour show for them all. This was a little more formal than the close up and only ever suitable if all your guests aren’t going to be blind drunk by this point in the evening. I particularly like to perform close up magic first followed by a show as it gives me an opportunity to meet the guests first, give them a chance to feel a little more relaxed around some of my more alarming mind reading abilities and it gives me a chance to decide who some of the more psychological mind reading techniques will work best with so I know who to choose later in the show. The whole performance was huge success, even if I say so myself, and it was an absolute pleasure performing for all the different generations of one family. In case you don’t believe me about the success of the evening (and why should you, I do lie for a living), here’s what they had to say a few days later. 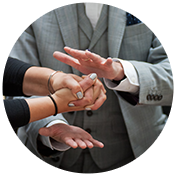 If you’re looking to hire a magician in Sussex please get in touch to discuss what style of performance might be suit your requirements.